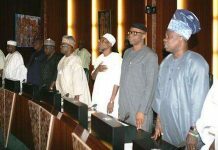 There was indeed power tussle at the weekend across many states of the federation as the ruling All Progressives Congress (APC) held its ward congresses. There were reports of violence, protests, loss of lives, hijack of election materials, postponements and delays. Practically all the states where the election held recorded violence of a sort but it reached climax in Delta and Lagos States where people lost their lives while others sustained various degrees of injuries. In some states like Zamfara, there were reports that there was no congress. 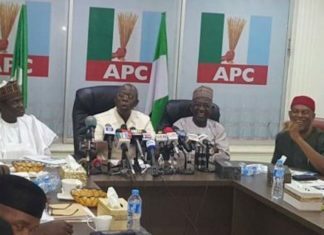 The APC ward congresses followed the partyâ€™s revised timetable released on April 27, which postponed its national convention indefinitely and moved the ward, local government, and state congresses to May 5, May 12, and May 19, respectively. Yes, the agreement and the earlier position taken by the party, that executive members who have served their two terms should give way for young and fresh members was observed in some parts of Lagos, but that does not give credence to the pass mark awarded the conduct by both the APC National Leader, Senator Bola Tinubu and Governor Akinwunmi Ambode of Lagos. 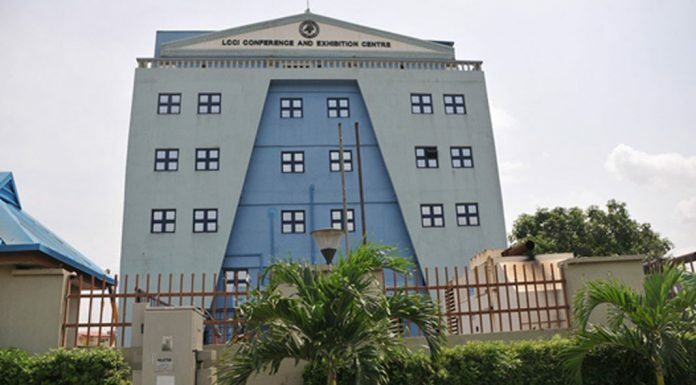 Many party members in Lagos were unhappy with the fact that they were denied the opportunity to vote for their preferred candidates in the ward congresses held across the three senatorial districts. There are allegations that elections were not conducted in many parts of the state. In most of the wards, party leaders had perfected arrangements that threw up candidates anointed by the executives, but in some other places members protested vehemently and insisted on elections. In fact, aggrieved party members have appealed to the national headquarters of the party to cancel the exercise and conduct fresh congresses to address areas where there were hitches. There is a long list of hot spots during the election in Lagos. For instance, at Amuwo-Odofin, where the APC had been divided since the last year’s council election, members insisted on election. They kicked against the consensus agreement and insisted that there must be election in the seven wards. Even though accreditation of voters was commenced at about 5:34pm, no proper election took place eventually. It is the same story in Ikate Itire in Surulere local government area. There, aggrieved party members told journalists that there was no election but instead there was an affirmation of an anointed candidate that emerged through the consensus arrangement. There was reported crisis in Ajeromi Ifelodun when thugs believed to be working on instruction of some party leaders disrupted the exercise after members insisted that there must be voting. One person was feared dead there and several others injured and taken to hospital for treatment after hoodlums attacked and disrupted the conduct of the exercise. The council chairman was reportedly attacked and injured in the process. But for the timely intervention of the Deputy Commissioner of Police (Operations), DC Mohammed, who raced to the scene, it could have escalated. However, the congresses held at Isheri Ikosi, Ifako-Ijaiye, Surulere, Lagos Mainland, Yaba and many other local governments where members agreed on consensus candidates, were relatively peaceful, but a visit to the wards revealled that members preferred to vote for their choice candidates. In Delta State, the Police Public Relations Officer, Deputy Superintendent of Police, Mr. Andrew Aniamaka, confirmed that. a chairmanship aspirant at Okwagbe community, Jeremi 3 in Ughelli South ward 10, Jeremiah Oghoveta, was stabbed to death during the congress. The deceased was said to have been stabbed by someone identified as Tete Pippah after an argument involving allegation of hijack of electoral materials. He was leaving the scene of the disagreement when his attacker stabbed him on the neck and fled. The ward congresses in Rivers State was also not insulated from crisis. Like in some other states, there were reports of violence in various places and a re-enactment of the bitter rivalry and power play between former governor of the state and Minister of Transport, Hon. Chibuike Amaechi, and senator representing Rivers South-east Senatorial District, Senator Magnus Abe. The duo pointed accusing fingers at each other for the violence and vandalism at the state secretariat of the party in Port Harcourt on the eve of the congresses. Amaechi alleged that Abe was behind the destruction at the party secretariat on Friday. He also dismissed rumours of a court injunction stopping the congresses in the 344 wards across the state, saying the exercise went on successfully with the adoption of Option A-4 as the voting method. That was different from what was obtained in other states. Amaechi said it was part of initiatives to entrench internal democracy in the APC. â€œA lot of people are complaining about internal democracy in the APC. So, why are they running away from internal democracy? Letâ€™s go and queue up behind the candidates we want. As early as 6am yesterday, I gathered that thugs had taken over the Rivers State secretariat of APC,â€ he said. In Oyo, the congress earlier slated for Saturday was shifted to Sunday by the organising committee due to the initial violence recorded at the party’s secretariat when suspected hoodlums invaded the stakeholdersâ€™ meeting holding at the secretariat and forced the Halilu-Ahmed-led committee to shift the exercise to Sunday. Halilu-Ahmed, who had insisted that an elective ward congress must hold as stipulated in the partyâ€™s constitution, shifted the congress after consulting with stakeholders. Edo State also opted for the consensus strategy and it seemed to have worked perfectly for the party over there. Report from Daura, Katsina State – President Muhammadu Buhariâ€™s constituency, has it that everything went smoothly. No one expects othewise. The president seized the opportunity to urge party executives elected in his Sarkin Yara A electoral ward to discharge their responsibilities with fear of God and in accordance with the party constitution. 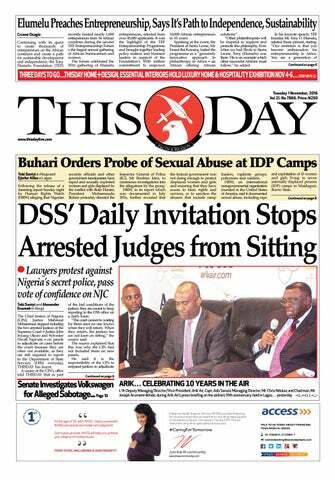 THISDAY findings have however revealed that the congresses were disrupted in many states where there are power tussles among leaders. 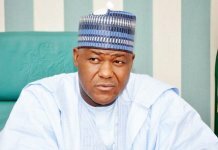 In Zamfara State, Senator Garba Marafa representing Zamfara Central Senatorial District said no congress took place and that there was no agreement to agree on affirmation. But the governor, Abdulaziz Yari claimed otherwise. In Lagos for example, the National Legal Adviser of the party, Dr. Muiz Banire, who has not hidden his disdain for the leadership of the party, is equally a force to reckon with. He can not be taken for granted. Where there is an election, the possibility is high that his loyalists will claim some seats, so the more reason the consensus arrangement was adopted. Likewise, in Rivers State, Amaechi and Abe have been at loggerheads. The ward and local government congresses therefore become a veritable ground for Abe, who has vowed to clinch the Rivers State governorship with or without Amaechi’s support and Amaechi, who has openly opposed Abe’s ambition. It is not clear yet whether or not the National Secretariat of the APC will reverse any of the acrimonious congresses, but where the status quo is maintained, the implication is that there has not been any major upset in any of the states. This therefore means that many of those who have been at the helms of affairs of the APC since the merger still control the party machinery. It means the voting pattern will remain the same at the local government and state levels. The party leaders are still determining who gets what. The poor conduct of the congresses left many loyal party members disappointed and disillusioned. They have an option to remain in the party or go elsewhere to try their luck. Except the leadership reaches out to the aggrieved, there may be mass exodus from the party. However, if past experience is anything to go by, this is an area the APC has yet to master.